I am a big fan of tofu, always have been! I know what you are thinking, eww tofu! But before you knock it, you should really try it the way I prepare it! Many have an issue with tofu because of its consistency, but if you bake it then you don’t have that issue – it is crunchy and perfect to add to stir fry or eat on its own. And an added bonus, my kids love it as well! It makes a perfect addition to their lunch or snack when we are on the go. One of the keys to avoiding mushy tofu is to drain as much liquid as possible. I like to remove from the container and place a heavy pan on top of the tofu block for a few minutes to squeeze out liquid. You can buy pre-cut firm tofu or cut into cubes yourself once drained. 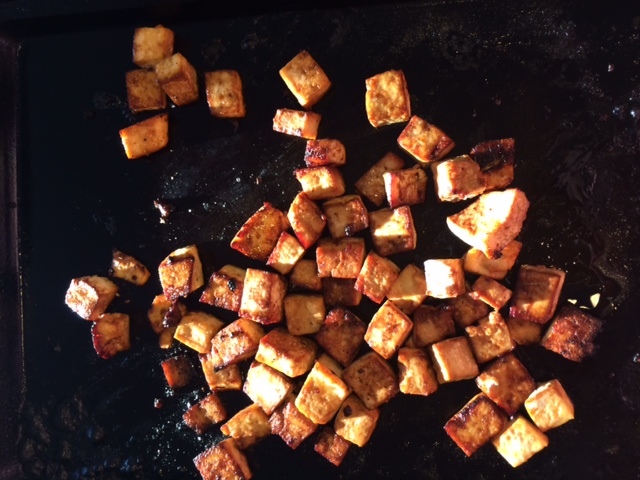 After you cut, toss the cubes with olive oil, soy sauce, salt, pepper, and then lay flat on a baking sheet. Set your oven to 425 degrees and bake the tofu about 30 minutes – tossing half way through. And your tofu is ready to eat! Now all you need is a side. If you have limited time to prep dinner -save yourself time by buying store cut veggies. Sautee the veggies in a pan with salt and pepper and either add the tofu or keep separate. 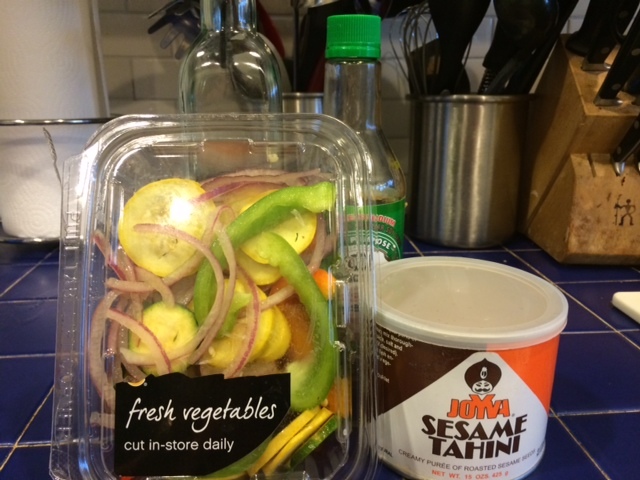 My new favorite accompaniment to the veggies and tofu dish is homemade tahini dressing. I’ve included a sample tahini dressing recipe here. 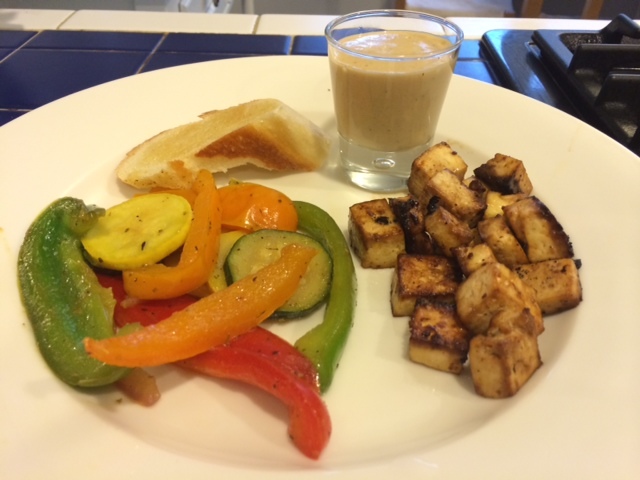 Either with the tahini or without, the veggies and tofu dish is healthy, delicious, and super easy to prepare! Try it out and let me know what you think! Comment below or tweet/instagram me @anjvarma and let me know!